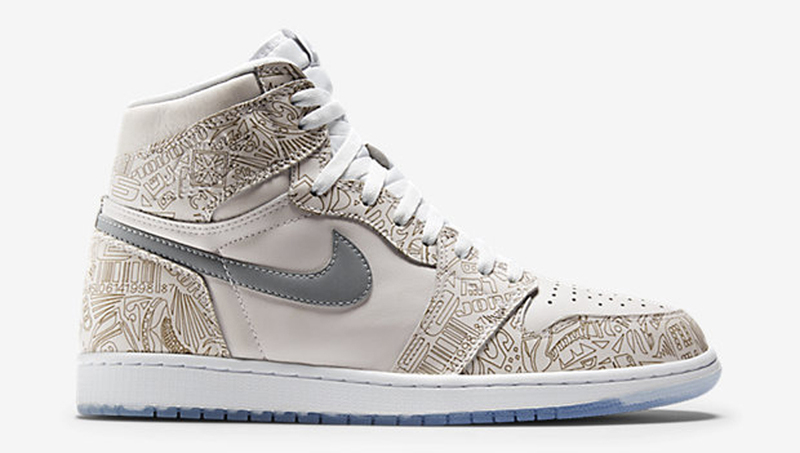 Find out when you can pick up the 'Laser' Air Jordan 1 Retro High from Nike Store. 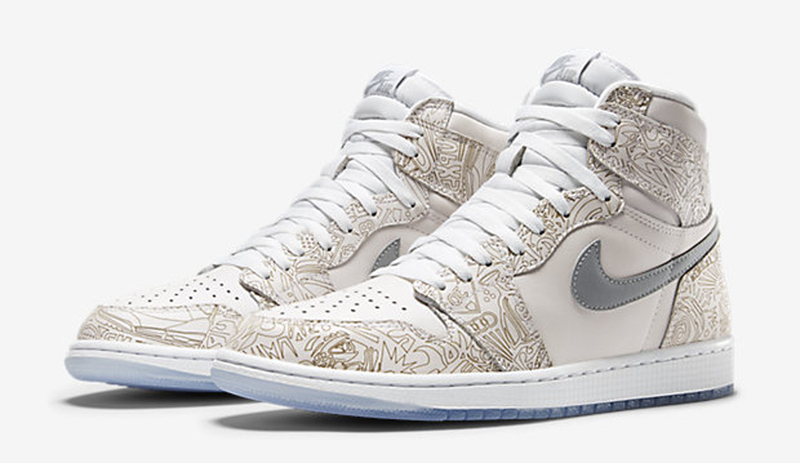 Laser print returns as Jordan Brand continues to celebrate the 30th Anniversary of the Air Jordan. 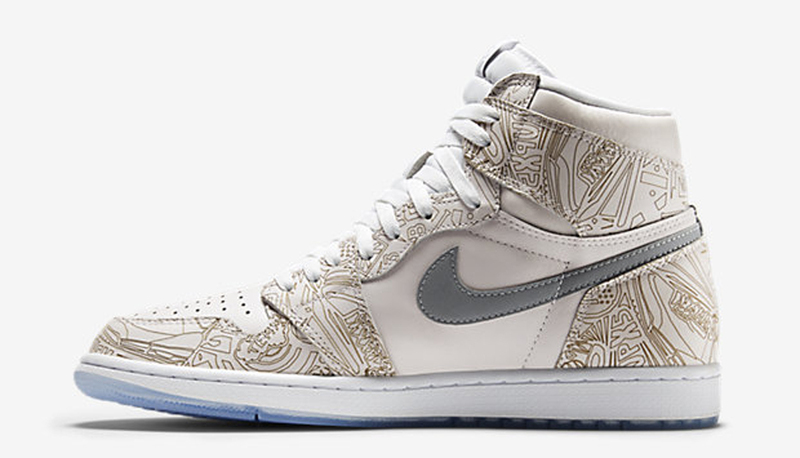 This Air Jordan 1 Retro High OG is the first pair set to release featuring laser print detailing, which also commemorates it 10th anniversary this year. 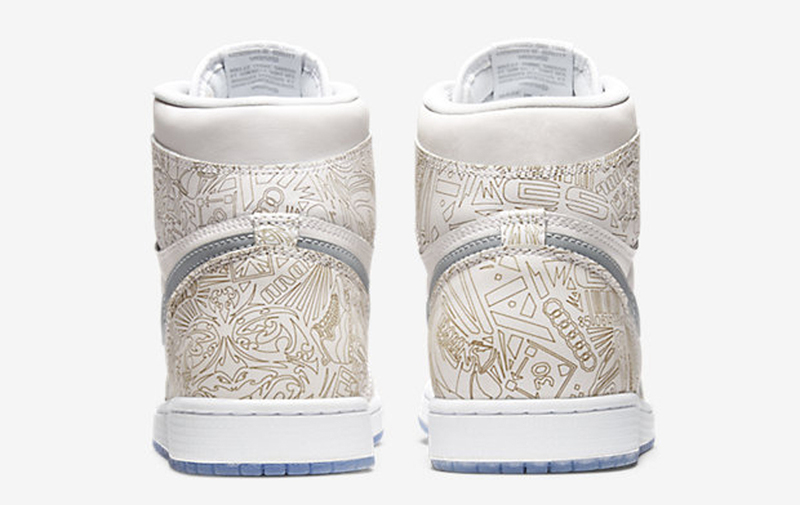 They come in a white and metallic silver colorway featuring a white-based leather upper with laser print detailing throughout. 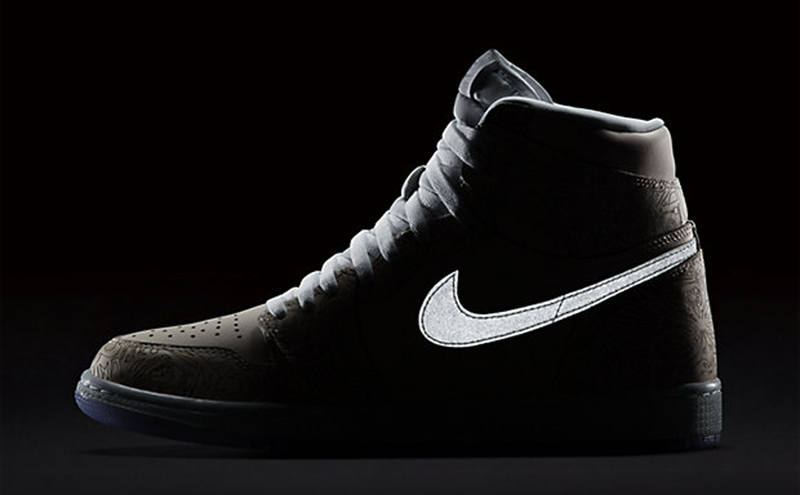 Metallic silver accents the reflective Swoosh on the sides along as well as the original 'Nike Air' branding on the tongue tag and the '30th Anniversary' logo on the insoles. A white midsole and full icy blue translucent outsole finish this pair off. 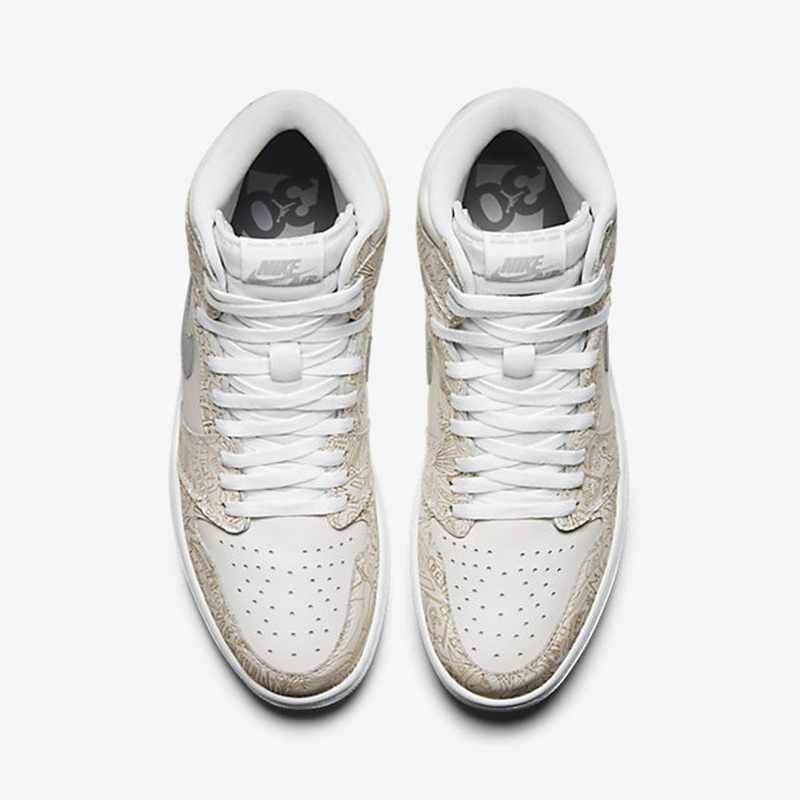 The 'Laser' Air Jordan 1 Retro High OG hits nike.com as well as select Jordan Brand retailers on Sunday, Feb. 8 in limited quantities. They will be available in both mens and gradeschool sizes.